Lund University and Aalto University, two major Nordic academic institutions, are now joining the community as new Climate-KIC partners. “Both Aalto University in Finland and Lund University in Sweden have already been instrumental in Climate-KIC Nordic’s activities – not the least as key partners introducing Climate-KIC to corporate candidates that we wish to approach to complement our network. Aalto University has set innovation and enterprise activities at the very core of its operations and aims at creating better conditions for innovations, employment and wellbeing. Aalto has strong relations to both the startup community and the industry in Finland and is supporting Climate-KIC in an important way in our further expansion in Finland. 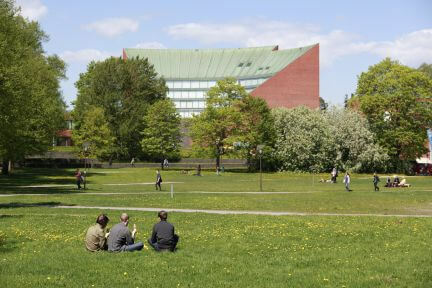 As regards Lund University it is not only one of the oldest and biggest academic institutions in the region but with its broad network and strong focus on sustainability we also see the new partnership with LU as a great opportunity for strengthening our collaboration across country borders in the vibrant Øresund region with Copenhagen, a Climate-KIC partner, as its capital.